Updated with all the latest and best TV deals. Manufacturers feel a need to release a new model each and every year, despite the fact that TV technology actually progresses relatively slowly. That’s not a bad thing. With every new model release, previous year models take a significant price cut. Even now, just one month into 2018, there are plenty of TV deals that match or beat the prices we saw on Black Friday. I’m here to lay out the best deals that are currently available, and I’ll keep this page updated throughout the year. If you’re looking for a good deal on a name brand 55″ TV, this Samsung 7000 series won’t break your bank. It’s also a nice step up in quality compared to the much more common 6000 series. If 55 inches is too small for you, the 65-inch model is also on sale. The Samsung 8500-series is a premium end model that is better than most Samsung (and other branded) TVs out there. It offers up true HDR support, which means that the panel features local dimming, wide color gamut, and sufficient peak brightness required for HDR. The P series is one of Vizio’s highest end HDTVs. Image quality compares to the high end models you’d find from Sony, LG, and Samsung, but at a lower price point. It also has all the qualities of true HDR including a 10-bit full-array 128-zone LED backlit panel, wide color gamut, and local dimming. If the P series is a tad rich for your blood, you should take a hard look at the M-series. This is Vizo’s least expensive model with true HDR support. Whereas the P series can stand toe to toe with the highest end TVs, the M series is better than most mid-range TVs. 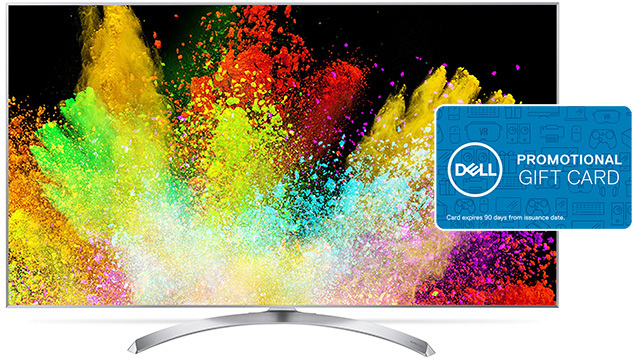 The least expensive 55″ 4K TV you’ll find with smart functionality. This TV is stacked in every possible way except for price. It’s 4K, HDR ready, has Roku cooked right in, it’s 55-inches, and it has excellent reviews. If you’re on a budget, this is one of the best 55″ TVs you’ll find under $400. The highly rated X900E is a true HDR capable TV set and comparable to the highest end models from LG and Samsung at a lower price point. The XBR X930E is the highest end model in Sony’s “X” series. For the price premium over the X900E, you get better black levels, higher peak brightness, and better upscaling thanks to a faster processor.